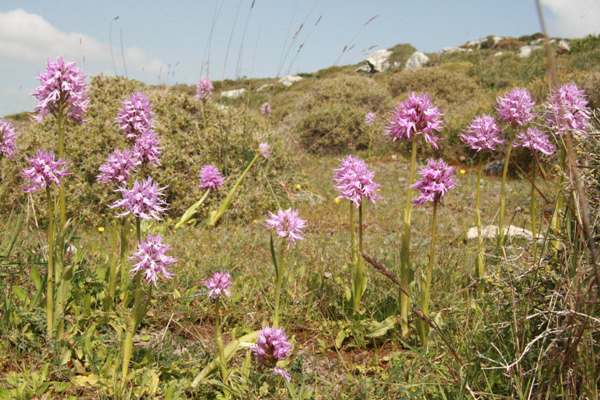 Widespread and common throughout the region this one of the best known Mediterranean orchids. 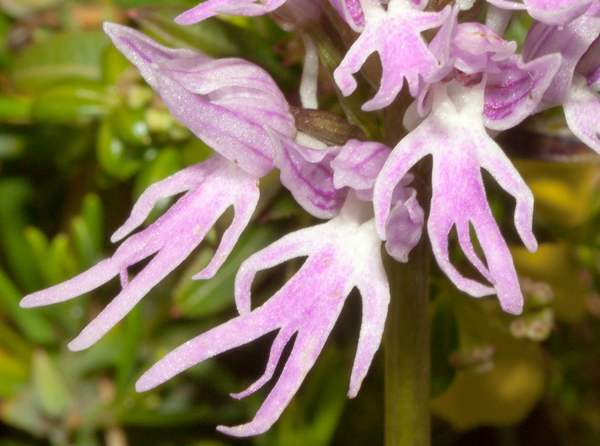 The Naked Man Orchid grows up to 50cm in height and has a rosette of distinctive wavy-margined leaves at the base of the plant. The leaves are sometimes flecked with brown. 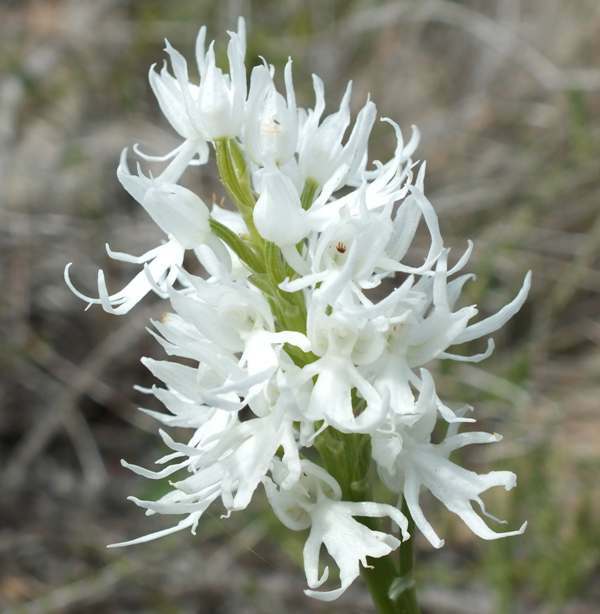 There are a further 3 or 4 small leaves sheathing the stem. 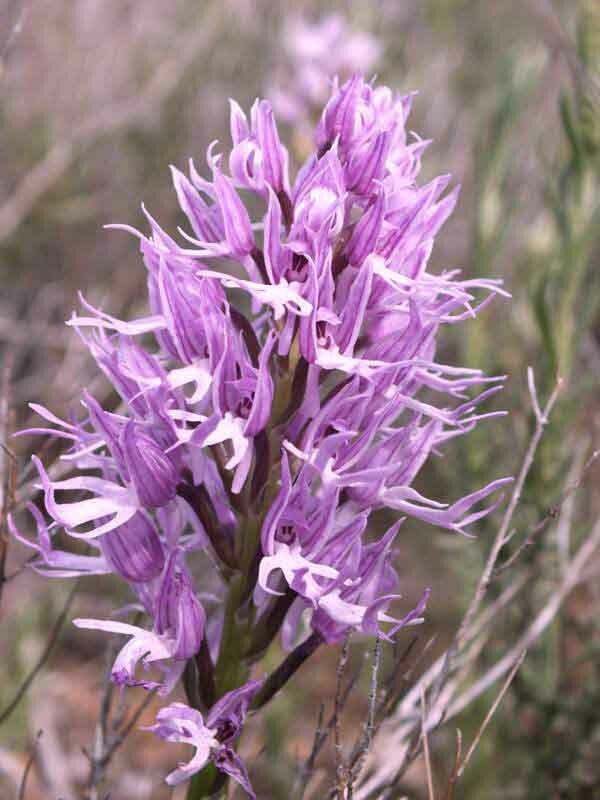 The flowers are carried in a dense inflorescence and are usually pale to dark pink. From time to time pure white specimens occur but they are rare. 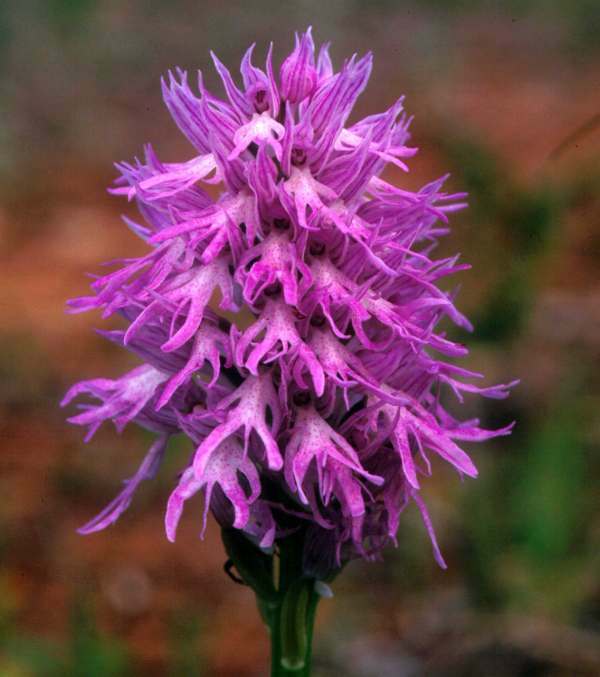 Common throughout the Mediterranean region this orchid grows in localised but often dense colonies. It can be found in the Middle East, Malta, Cyprus, Turkey, the Aegean islands, Greece, Italy, Spain and Portugal. 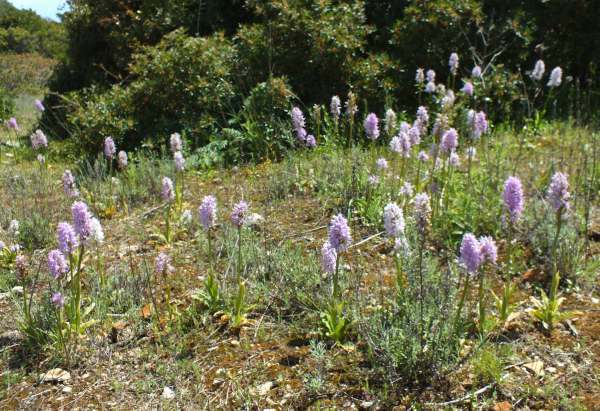 This orchid grows in abandoned farmland, scrubby areas and beside tracks and paths and is particularly numerous close to the coasts.